The story of the Knights Templar is one which has always fascinated us. Originally set up as a guard to protect pilgrims who were traveling to the Holy Land, the order originally known as the Hospitalliers grew into a powerful military and religious force with extensive lands, castles, treasuries and power throughout Europe and especially, in France. There are legends that the Knights Templar were guardians of the “Holy Grail” among many other religious artifacts. It is documented that the famous Shroud of Turin was in the possession of one of the Knights Templar in the early 1300s. 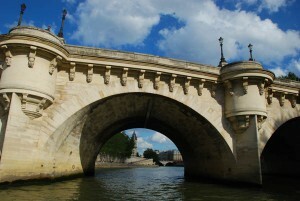 The Pont Neuf Bridge, spanning the Seine connects the City Island with the Right and Left Banks of Seine. The Pont Neuf, or “New Bridge” spanning the Seine stands right over the place where Jacques de Molay, last Grand Master of the Templars was executed by slow burning at the stake on March 18, 1314 after a seven year long prison sentence. 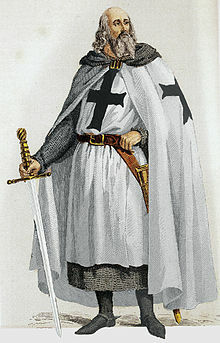 de Molay was killed along with hundreds of other Templars by the order of King Philip IV of France, who owed the Templars a huge sum, which he had used in his wars against England. One way to erase those debts and help pay others was to declare the Templars heretics and impound their riches. This was accomplished with the death of their last Grand Master. 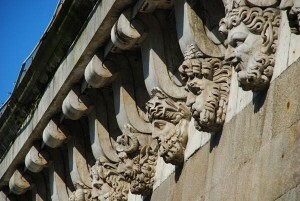 A plaque is attached to one of the pillars of the Pont Neuf, which was built nearly 300 years after these executions took place on the City Island in front of Notre Dame. Posted in Europe Tours, France Tours, Private Tours in Europe and tagged de, europe, family, france, group, in, knights, molay, neuf, of, paris, pont, private, small, templar, to, tour, touring, tours. I know the Temple is gone but I’m a serious Templar dink and want to know what tours are available for this. I will be in Paris April 2nd for a few days.